Accommodation in friendly hotels, B&B, Bed and Breakfast in a Brecon Beacons border town, homely Guest Houses, cosy Holiday Cottages, congenial Country Pubs and Inns, luxurious Country House Hotels and Caravan and Camping sites. Llandeilo's narrow streets make this an attractive and historic town. Lovely old bridge over River Towy (largest single span stone bridge in Wales)and numerous nearby attractions such as Carreg Cennen Castle, Dinefwr Castle and Park and Dryslwyn Castle. 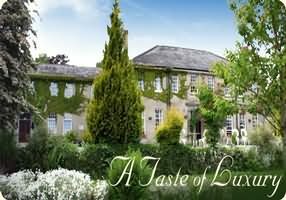 A country hotel and restaurant set in the beautiful Towy Valley and Brecon Beacons National Park, surrounded by Castles, Country Houses, walks and of course the National Botanical Garden of Wales. You will be greeted with a genuine welcome, good food and wines that can be enjoyed in a warm and relaxed atmosphere and brought to you with that all important personal touch. You could not ask for more, beautiful views from all our 14 well appointed en suite rooms equipped with everything you would expect for your stay, queen sized beds, wireless broadband internet access, sofas and disabled facilities, all impeccably serviced with our attention to detail.Why not take advantage of our gym and sauna to unwind and relax during your stay! (Welsh meaning : 'long meadow') is the name of an electoral ward, a community, and a mining village at the northwest end of the Cynon Valley in the South Wales Valleys. The village of Hirwaun is four miles from the town of Aberdare, and comes under Aberdare for postal reasons. Hirwaun consists of a vast array of different architectural housing styles, The Brecon Beacons national park lies just on the Northern edge of the village. We have a fantastic restaurant, log fires, a welcoming bar and lovely gardens with magnificent views of the Beacons and Neath Valley. We've room sizes and styles to suit everyone from our standard rooms to spacious family room and luxuriously appointed superior rooms. We have four poster beds, Jacuzzi baths big enough to share and rooms with fantastic views. All rooms are non-smoking, All rates are inclusive of full Welsh breakfast and VAT. En suite bathroom with bath and/or power shower. Historically, Ebbw Vale was an important centre of the steel industry, but following the National Garden Festival in 1992, the town's appeal increased enormously, with the introduction of a delightful area consisting of waterfalls and lakes, gardens and waterways. A further attraction was the opening of The Festival Park Shopping Outlet, an elegant modem shopping mall with many designer label shops selling goods at greatly discounted prices.Ebbw Vale is ideally placed to explore the many holiday attractions and places of interest on offer throughout South Wales. 1 mile south of the town of Ebbw Vale. Situated in its own grounds, the hotel was built in the 1899 by local builder John Bohanna Yendoll and has maintained its elegant façade and retained the style and décor of the Victorian fashion. The Park hotel offers considerable charm and comfort with all the amenities of a modern hotel. 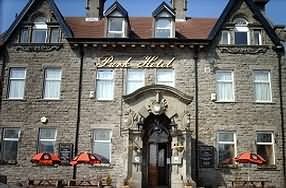 The Park Hotel has a warm, intimate atmosphere of a family hotel and is known for its service and welcoming and attentive manner of its staff. two of which are decorated in Victorian style. trouser press, hair dryer and clock radios. At Craig-y-Nos Castle the emphasis is on ensuring that guests enjoy their stay. They have a dedicated team who's members are assigned to covering specific aspects of our hospitality services. Craig-y-Nos Castle and grounds were once the estate of the celebrated opera diva Adelina Patti who during her lifetime ( 1843-1919 ) became one of the worlds most famous and highly rewarded entertainers. Adelina Patti's original music room and billiard room are now integrated into one superb dining and reception room with classical decor and furniture. Craig-y-Nos Castle nestles in the lovely Upper Swansea Valley next to the river Tawe. The grounds give access to Craig-y-Nos Country Park which was all part of the original estate. Pontardawe first came into being as a crossroads of two drovers tracks. One from Swansea to Brecon, and the other from Neath to Llandeilo. The town's name comes from the Welsh language for bridge on the river tawe. There is a Festival held in the town every August. It is an ideal base for people wishing to visit Neath, Swansea, Gower, Llanelli or Carmarthen and the Brecon Beacons National Park for pleasure or for work. There is a wealth of Industrial History that can be explored in the area together with ancient woodlands and serene canal walks. If your interests are more sport orientated there is an excellently equipped leisure centre and swimming pool where you can find a sport to satisfy all tastes. If golf is your game there is an 18 hole golf course on your door step. At The Dillwyn Arms Hotel our aim is to create a refreshing alternative venue for exceptional, yet reasonable accommodation, good consistent food with availability every day and at a level of service to be proud of. Our newly refurbished accommodation awaits your arrival. Tasteful decor accompanied by comfortable surroundings, with all modern conveniences are standard - you wont be disappointed ! Our well appointed guest accommodation offer rooms of a superb standard, decor, beautifully designed fabrics and furnishings. All our rooms are En Suite, have tea and coffee making facilities, colour televisions with freeview channels, direct dial telephones with free internet access points. We offer a small conference room facility, which can seat 14 delegates in boardroom style or 22 in classroom style, facilities include, T.V & Video, Fax, Modem Points, Flip Charts, White Boards and OHP. Contact us for details. Llandybie is a parish, and a large village two miles north of Ammanford in Carmarthenshire, Wales. According to the 2001 census, the village is home to 3,800, the parish also includes the villages of Penygroes, Penybanc, Capel Hendre, Caerbryn, Blaenau, Cwmgwili, Pentregwenlais and Saron. Llandybie hosted the National Eisteddfod in 1944. It benefits from a railway station on the Heart of Wales Line. It has a primary school, Llandybie CP School, which is located in the North Easterly fringe of the village. Llandybie was the first place in the world where the mineral Brammallite was found. 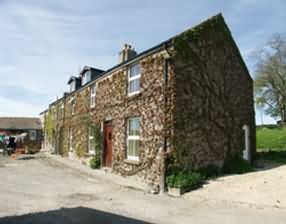 Originally a 17th Century Water Driven Corn Mill now tastefully converted into a Eleven Bedroom Country Hotel. The Mill is situated on the South Western Edge of The Brecon Beacons National Park and at the foothills of The Black Mountains. The Mill is in the perfect location for exploring the delights of Mid & West Wales, and is a superb base for golfing breaks. The Mill is a family business, run by Holly & Lloyd Thomas, and it is their aim to provide you with first class accommodation in a warm and friendly atmosphere with excellent service. 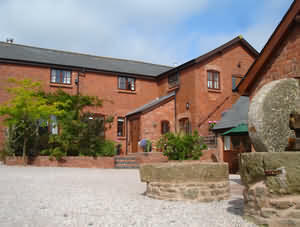 The Mill is renowned for its good food and is a member of 'Wales a True Taste'. The Mill has Eleven Individually Designed en-suite bedrooms, each of which is named after a Welsh Castle. All rooms are well equipped and include a Whirlpool Bath, Colour T.V, Radio, Hairdryer, Trouser Press, Phone and Hospitality Tray. Brynmawr - This is a market town originally known as Gwaen Helygen was a mere village in 1800. A lot of changes have taken place since those days - steeped in history, with its surrounding valley towns sharing its historical past. It is the highest town in Wales, approximately 1350 feet above sea level. 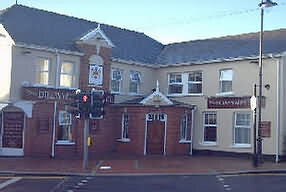 Brynmawr nestles on high above its neighbouring towns of Beaufort and Ebbw Vale; Nantyglo and Blaina; Blaenavon and Llanelly Hill and of course, the Clydach Gorge. Joe and Pat McDonnell extend a warm welcome to their guests at Ysguborfach which nestles on the mountainside overlooking Coalbrookvale and Nantyglo with views to the nearby Black Mountains and Brecon Beacons. We offer friendly hospitality in a happy relaxed atmosphere, at our 300 year old cottage which has been extended and modernised to cope with the conveniences of the 21st. century, whilst retaining the nooks and crannies, wealth of beams and cosy open fire of bygone days. Catering for both the Business traveller and holiday makers; we have the following rooms available which offer a comprehensive range of accommodation. The Master Bedroom has a double bed, double wardrobe and a bed settee. In-Room Tea and coffee-making facilities and colour T.V. In-Room Tea and coffee making-facilities and colour T.V. The Single has one single bed and includes in-room tea and coffee-making facilities. Come and unwind in our peaceful 18th century listed farmhouse set in a cobbled courtyard, commanding superb views of the area. Traditionally furnished, the en-suite bedrooms offer every modern comfort. Ty-Cooke is a 135 acre beef and sheep farm, nestling on the edge of the Brecon Beacons National Park yet only 15 minutes from the M4. It is a mile from Goytre Wharf on the Monmouthshire-Brecon Canal. Big Pit, the World Heritage Site at Blaenavon, Roman Caerleon, Tredegar House, Raglan Castle, local golf courses, sailing and fishing at Llandegfedd Reservoir, the Usk Valley Walk, hang-gliding and cycling arte some of the main attractions within 10 miles of the farm. away from the hustle and bustle of a busy life. 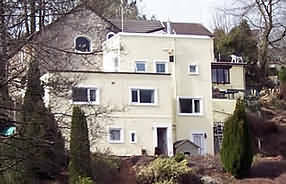 Penylan (top of the hill) is situated in the Parish of Llangattock-vibon-Avel and was originally part of the historic Hendre Estate, home of the famous Rolls family (co-founder of Rolls Royce). A view can be seen of the upper part of the famous Rolls of Monmouth Golf Course. Many walks are nearby with the Three CastlesWalk 1 ½ miles away which links the Norman castles of Skenfrith, Whitecastle and Grosmont. Offa's Dyke is only 1 ½ miles away or you can leave the car at home and explore the many walks from the farm. Other walks are the Wye Valley Walk and Monnow Valley walk. For breakfast we serve a choice of fresh fruit, free range eggs from the farm, locally produced meat from the award winning butcher in Monmouth and homemade preserves. Come and sample the perfect relaxing country holiday in our converted granary set in its own courtyard on a working farm. Guests are welcome to explore the farm and watch the calves being fed or simply enjoy the panoramic views. We are a good base for touring the Wye Valley and the border counties. Sorry but no pets permitted due to farm animals. 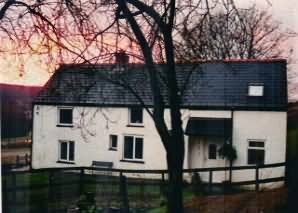 Crai is a hamlet in the Brecon Beacons National Park in the County of Powys, South Wales. It gives its name to the community within which are the hamlet of Felin-Crai and a large number of dispersed farms around the valley of the Afon Crai. The river is dammed 2km / 1.5mi southwest of the village to form Cray Reservoir. The name may derive from Welsh 'crai' meaning rough and referring originally to the nature of the river. Two magnificent new and spacious eco lodges built with a bespoke mix of Welsh stone and a D shaped log . Offering a tranquil place for all to explore to the beautiful countryside of Crai. The lodges are built on the family run Organic working farm providing the upmost in luxury with use of Spa Hot tub, trampoline, and garden furniture to include children’s play area swings and slide. The Lodges are located in a lovely setting in the centre of the tiny hamlet of Crai in the centre of The Brecon Beacons and with perfect walking straight from the door. There is a regular bus service 50 yards away. 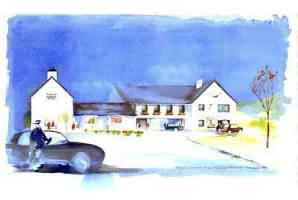 The owners also own a country pub nearby which lies at the foot of the Brecon Beacons. The large organic farm supplies Welsh Beef and Lamb to Waitrose and 300 acres of land for visitors to explore and walk over (on discussion with the owner). These two new properties have been built and developed making them as comfortable, warm and hi-tech green energy efficient as possible with a Biomass wood fired boiler, Solar panels for production of hot water and also solar panels for the farms own electricity. Heat recovery system which will expel damp, moist air from bathrooms and kitchen drawn through a heat exchanger which expels damp air outside and brings back in fresh filtered air that is warmed up as it passes through the exchanger back into all other rooms. Typically 70% efficiency is achieved. The kitchens are "state of the art" with lovely large American Style fridge freezers, large electric double ovens with hobs, microwaves, dishwashers, washing machine, tumble drier and fitted kitchen . There is a spacious dining area where visitors can eat at a traditional Oak farmhouse style dining table and chairs seating 10. In both Lodges there are large French windows looking out over the panoramic views of the garden, the children's play area and across the Valley to the hills beyond to the Llyn-yr-Fan Lake where the legendry "Lady of the Lake" appeared. There are comfortable sofas and chairs for relaxing and large screen TV's with DVD, CD player and Broadband Wi-fi. Mobile telephone reception is variable but possible in places. All bedrooms have brand new flat screen Freeview TV's and mattresses are pocket sprung with memory foam top layer ensuring a five star comfortable sleep. There is a downstairs bedroom with twin beds and a large wheel-in shower/wet room with whb and wc. The disabled bed in both lodges are electrically operated to lift the head or feet as required. downstairs cloakroom with wc. This also has a large spacious shower enclosure, corner bath, handbasin and toilet. The Electric Car - B-Bug can also be used for a week by visitors again by booking in advance and on discussion with the Talybont On Usk Green Energy group. Access and accommodation for visitors in wheelchairs. In both Lodges downstairs bedrooms are suitable for visitors with disability and wheelchair bound. The bedroom has twin beds and a large wheel-in shower/wet room with whb and wc. The disabled bed in both lodges are electrically operated to lift the head or feet as required. 12 Mountain Bikes available for hire on discussion in advance with the owner. The Owner of the Farm and the Lodges is very enterprising and is very happy if visitors wish to bring horses with them and can provide grazing (on discussion). Brynamman is a village sitting on the south facing side of the Black Mountain, part of the Brecon Beacons National Park. The area has become more attractive to live in especially for those who love the country side and the wild open areas available for walking on the Black Mountain. It is still a stronghold for the Welsh language and children are taught it in school and it is spoken by a high majority of the local people. Pen y graig is a cottage set on the south western edge of the Brecon Beacons National Park, ideally situated for many outdoor activities & tourist attractions. Pen-y-graig Canol is a haven for walking, bird watching (red kites are seen often) and cycling and is only 1 minute away from the National Park. 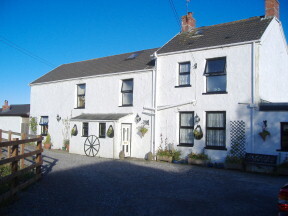 The Cottage is central to many great attractions including Dan-yr-Ogof Showcaves and Dinosaur display, Henrhyd & Aberdulais Waterfalls, National Botanic Garden & Aberglasney Gardens, the Gower Peninsular (wonderful bays & beaches), market towns of Llandeilo & Llandovery, red kite feeding station and Carreg Cennan Castle. The accommodation consists of a three bedroomed cottage sleeping 6-8, kitchen with laundry facilities, dining room, downstairs cloakroom & conservatory/TV lounge. There is an outdoor heated swimming pool available from April to end of September. 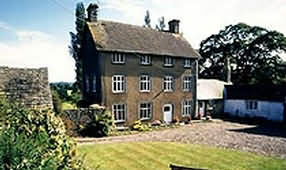 All of this is set in gardens with a play area and 6 acres of pasture and woodland with streams and a waterfall. 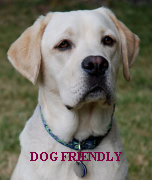 Short stays rates can be obtained from the owner. for those who like to be waited on with all the comforts and pleasures the cottage has to offer. 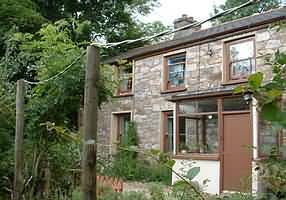 The ivy clad cottage adjoins the farmhouse nestled in the rolling hills of Carmarthenshire in South West Wales close to many attractions such as Aberglasney and the Gower coast. The rich fishing rivers of the Towy & Cothi (Licences available by request) are on either side of the farm. 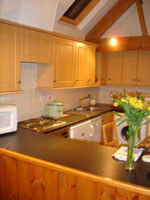 Self Catering or Bed and breakfast you choose. The cottage adjoins the farmhouse and is set in ½ an acre of a country cottage garden with ample parking for three cars, a patio area to sit and relax and enjoy a barbeque. The kitchen is fully equipped with microwave, dishwasher, fridge and electric cooker. An oak beamed archway separates the dinning room with oak dinning table, six chairs and a welsh dresser. 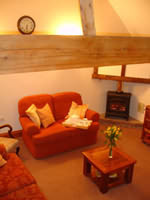 The spacious lounge has an original oak beam, log burner, T V, DVD and freeview tuner. The three piece suite, décor and lighting make this room very comfortable and cosy. The stairs from the lounge to the first floor accommodation have child safty gates fitted top and bottom. We also have a high chair and a cot. There are two large bedrooms, one double with T V and one family room with three single beds furnished in antique pine, portable T V on request. The bathroom has shaving point, fitted shower and bath all towels and linen provided. Washing machine and tumble dryerare available in the laundry room adjoining the farmhouse. Tynewydd Farm Self Contained Cottage, Lodge and Studio is a character full comfy base, easily accessible for visits to theatres, concerts, and sports events in Parc Bryn Bach, Beaufort, Merthyr Tydfil, Brecon Beacons, Hay on Wye, The Cardiff Millennium Stadium, and the sandy Mumbles coastline - There are local pub/restaurants which serve good food and other restaurants and major supermarkets a five minute drive away. Self Contained Cottage, which sleeps 6 and adjoins the owners' cottage, was built in 1720 and was originally a traditional 'Longhouse' family farm - one of the oldest buildings in the area - and now the wee remaining paddock is run by the owner as an animal rescue centre - and cat boarding. The self-catering detached Pine Lodge which sleeps 4 was shipped over from Finland and built to live in all year round - has a feel of Noah's Ark about it. The self catering Studio is a first floor annex of the main cottage, which sleeps 2 occasional 4, lovely views of the surrounding hills. This traditional stone and brick built barn has been carefully converted to retain many of it’s original features. Exposed beams, slate floors and under floor heating give an atmosphere of comfort and relaxation. Attic twin bedroom - Master Bedroom- with en-suite wetroom.